James Morton Schopf received the M.S. degree in 1932 and the Ph.D. degree in 1937 from the Botany Department of the University of Illinois. When he joined the Illinois State Geological Survey in 1934 as a research assistant in the Coal Division, he recognized that paleobotany could make a valuable contribution to the study of coal geology. Under the leadership of Gilbert H. Cady, he became knowledgeable about aspects of coal formation, coal petrography, coal chemistry, paleoecology, coal palynology, and coal classification. He recognized early on that coal balls are a valuable resource in the study of coal-forming plants. He realized the importance of collecting coal balls by site to help interpret the depositional sequence of plant assemblages, and he collected coal balls from numerous coal seams throughout the Illinois Basin. Schopf published a total of 15 papers while at the Illinois State Geological Survey. His detailed description of the sigillarian Mazocarpon in l941 and the seed fern Dolerotheca in 1948, both published by the Survey, are classics in paleobotany. He was also instrumental in the early expansion of coal palynology (the study of spores and pollen) and its stratigraphic and paleoecological applications. During the mid to late 1930s, Schopf described in detail plant spores in the economically important Herrin Coal. In 1944, Schopf and coauthors published An Annotated Synopsis of Paleozoic Fossil Spores and the Definition of Generic Groups as Illinois Geological Survey Report of Investigation 91. This publication became a classic for American palynologists because it eliminated much of the chaos in the classification of fossil spores. 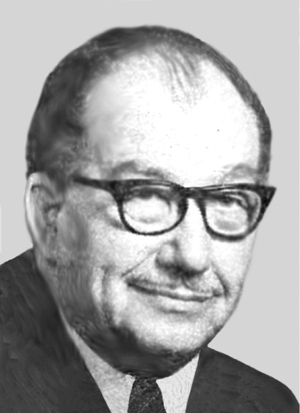 In 1943, when Schopf joined the Bureau of Mines in Pittsburgh, Robert M. Kosanke took over the paleobotanical studies at the Illinois Survey. While at the Bureau of Mines, Schopf worked on the origin and classification of coal. In 1947, he joined the Paleontology and Stratigraphy Branch of the U.S. Geological Survey in Washington. The following year, he wrote an important paper on the coalification process based on his studies of coal in Illinois and at the Bureau of Mines. Two years later, he was transferred to the Fuels Branch of the U.S. Geological Laboratory at Ohio State University. He was again transferred to the Paleontology and Stratigraphy Branch in l961 until his retirement in l976. While at the Ohio laboratory, he visited the Antarctic and investigated fossil flora there. James Schopf was the recipient of numerous honors and awards, including the Botanical Society of America Merit Award, Antarctic Service Award, Gilbert H. Cady Award of the Geological Society of America, the Mary Clark Thompson Award of the National Academy of Science, the Distinguished Paleobotanical Award of the Botanical Society of America, and the Paleotological Society Medal. Schopf had a very major influence on various aspects of coal geology and paleobotany, much of which had its roots with his investigations of coal while at the Illinois State Geological Survey.